TORONTO It seems that the Board of Villa Charities Inc has ﬁnally taken a proactive step in its “reimagine”, “revisioning” project. 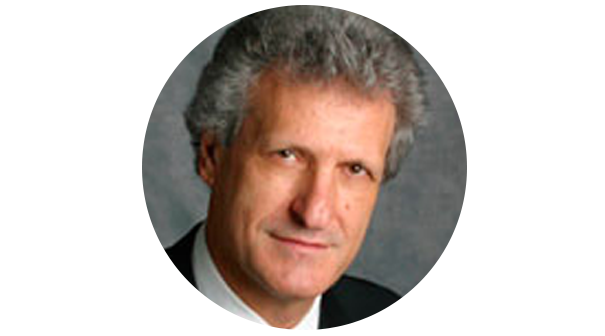 Corriere Canadese IPTV reported on Friday that (according to various, but unconﬁrmed, reports), Thursday, June 22, VCI had “accepted” the resignation of Aldo Cundari, its Chair. Santo Veltri, former Chair of Villa Colombo, one of the aliates of Villa Charities, was appointed in his place. Mr. Cundari’s mandate was set to end this summer, but in a manoeuvre that apparently took some members of the Board by surprise, he called for a “visioning conference” in April and moved the Annual General meeting date ahead to May 29, when he and others sought a one-year extension to their term. Prior to that meeting, Mr. Cundari announced that he had been appointed Chair of the Canadians Marketing Association but that he was staying on as Chair of VCI. At time of going to print, he did not respond to email requests for comment on these latest developments. His churlish, abrasive, even belligerent, contemptuous style of leadership will not have won him many friends. Once the Condominium project he championed to replace the Columbus Centre collapsed, former colleagues and erstwhile allies could no longer justify the reputational damage his approach was inﬂicting on the organization, and by extension, on themselves and the Community. Of course, he did not act alone; but, under his leadership, or with his support, what was once the apex symbol of Community engagement and socio-cultural achievement of newer Canadians – and proudly Italian in origin – has been reduced to barely recognizable tatters. The Board of VCI under Mr. Cundari is at odds with almost everything Italian-Canadian: from the Carrier Art Gallery, to the Di Giovanni [Dante] Library, to the Columbus Centre, the Boccaccio restaurant, to the Mens Sana, Vita Community Living and, some would add, even the Villa Colombo. It cannot, or will not, talk with anyone except from top to down direction, be they employees, tenants in its buildings, programme providers, or partners in the services industry. At least 19 of these are seeking relief against VCI in the Courts. City Child Care Services placed the VCI Day Care program under supervision and conducted a forensic audit going back ﬁve years from 2014. Mens Sana and Vita have left the organization and are trying to resolve the ﬁnances of the separation without Court action. Who looks to VCI for leadership or guidance? It is silent on issues related to language and culture, services to seniors or those vulnerable in our society. Mr. Cundari’s “leadership” and his “team” had become so deaf and blind to other viewpoints that the physical assets had fallen into disrepair, programs were cut or lacked focus, services were impoverished, purpose was blurred as an “nepotism in lieu of merit” seemingly crept in as the dominant ethos of the organization. No institution can survive for long under that culture. Perhaps one the more telling indications of malaise is that, notwithstanding its access to one of the wealthiest networks of businesspeople in the city, its fundraising efforts have been a ﬂop. Not-for-proﬁt organization do not long survive without a healthy revenue stream, especially if the leadership spends like “drunken sailors”. Memberships on such Boards are guided by the basic principle that demands directors “give money, get money or get out”. Mr. Cundari ﬁnally did the latter. His tenure will mark a period great underperformance by a Community and its [once] signature institution.